This shaft driven 4WD TB-03 chassis machine features its own peculiar direct drive feeling. 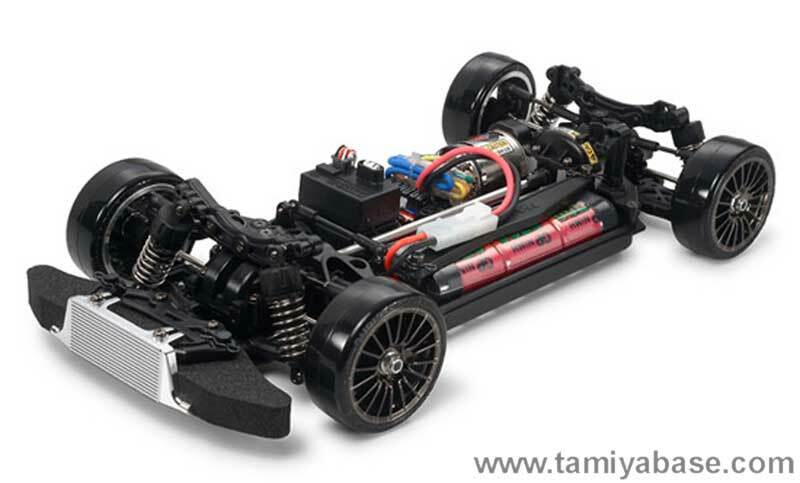 This new TB-03D chassis adopts these characteristics with many drift specifications. The TB-03’s inboard front suspension has been changed to the standard outboard type suspension, and the chassis is equipped with short reversible suspension arms, soft spring damped shocks, and dedicated suspension mounts.